Nightlight Christian Adoptions (NCA) has assisted families with the adoption of relatives in Canada. Both countries are signatories on the Hague Convention. In order for a US Citizen to adopt a relative from Canada, they must identify a US Hague Accredited adoption agency as their Primary Provider. Each Canadian Province has its own Central Authority, addressing Inter-Country adoption. Nightlight works with both the US and Canadian Central Authorities to assist families with kinship adoptions. The adoptive family must also complete a home study with a Hague accredited agency prior to the adoption process. Nightlight has 9 offices throughout the United States and can assist families in those States with their home study process as well. Otherwise, referrals can be provided to alternate local agencies. Although the majority of the time, the adoption is finalized in Canada prior to the child moving to the United States, on occasion, a guardianship is given and the adoption will need to be finalized in the US according to the State requirements where the family resides. These adoptions can take anywhere between 9-24 months. Further information about the adoption process in Canada can be reviewed on the US Department of State website, www.adoption.state.gov. Only relatives who meet the legal definition of an orphan. Complete the NCA online application and Orientation with the NCA CA office. After your Home Study is complete, submit an I-800A form to USCIS with the assistance of the CA NCA office. If you are using an attorney in Canada, that in-country attorney will need to provide verification of license and good standing in their country and sign documents verifying ethical standards with Nightlight. Nightlight will work with the Central Authority in your region of Canada. Begin work on your dossier – the documents required for the adoption in Canada. Once the immigration documents are provisionally approved, Nightlight staff will work with you on obtaining the necessary documents to complete your I-800 documents. There may be a bonding period in-country with the child, prior to the court date giving guardianship/adoption to the prospective parents. Nightlight Clinical staff will review the Child referral, medical, social and psychological reports with the adoptive family, with the understanding that the family has likely provided these documents to the staff member. We will instruct you in filing the I-800 with Immigration. If you complete a guardianship rather than a ‘full and final adoption’ in Canada, you will receive a provisional approval to bring your child home under the guardianship, with the understanding you will finalize the adoption under US law, once you return home with your child. 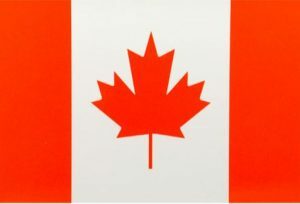 If possible, it is preferable to have a ‘full and final adoption’ finalized in Canada as it will be recognized in the US. After the approval from Immigration, the parents will travel to the foreign country to complete the guardianship/adoption. Typically, this trip is from 1-3 weeks, and includes the finalization of the adoption in the court, filing of the adoption paperwork and obtaining the US Immigrant VISA to return to the US. Once you arrive home, you will notify Nightlight and provide all adoption documents to the Nightlight CA Office. Some countries require an official referral and bonding trip. While in Canada, you may be monitored by social services handling the adoption in the Province. If only guardianship was given, upon arriving back in the U.S. you will need to complete a legal US adoption if your child entered the country under a IR4 VISA and guardianship. Once you have completed the legal adoption, you can apply for Citizenship for your child. The post adoption reporting requirements vary between countries. Those countries that have a required bonding period in country, tend to have fewer post placement or post adoption reporting requirements once the family returns to the US. If the adoption was not finalized in Canada, your home study agency will need to be contacted, to finalize your child’s adoption in the US. Typically 2-4 visits are required. The cost for the Primary Provider part of a Canadian Kinship adoption is $6,000. There is a $500 application fee and then the program fee of $5500. There is an additional ‘Monitoring and Oversight’ fee of $500 per child being adopted, to cover the Accrediting Entity, the organization designated by the US Department of State to oversee intercountry adoptions. Although Nightlight will collect this fee, the full fee is paid directly to IAAME, as the Accrediting Entity. These fees do not cover the expenses for the country attorney, travel, documents or communication.